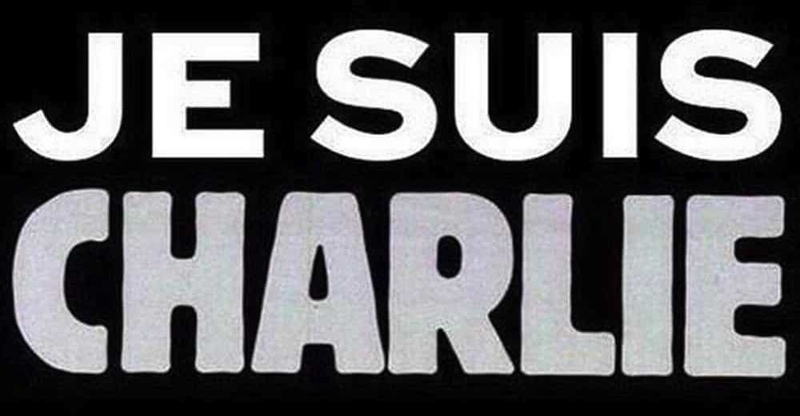 Home > French Blog > French Culture > What does the JeSuisCharlie mean and what is Charlie Hebdo? What does the JeSuisCharlie mean and what is Charlie Hebdo? I wanted to write a little something about the newspaper Charlie Hebdo in the context of the horrible events of January 2015. This is not about starting a political or religious debate (this being a company site, it is not appropriate nor relevant) but by speaking to many of our students last week, I wanted to clear up a couple of perceptions that we heard. So, what is Charlie Hebdo? Unlike what most foreigners think, almost no-one usually reads Charlie Hebdo in France. Yes, our Skype students were all under the impression that Charlie Hebdo is read by everyone and is a major newspaper… The fact is that we have never bought a single copy of that newspaper and we don’t know anyone around us that has.This is why the issue before the attack was only distributed in less than 45,000 copies and Charlie Hebdo have faced some hard times for a while now (even trying to raise funds 2 months ago). Now of course, many people in France are familiar with some of their drawings when it makes the headlines but otherwise, they go largely unnoticed by 99% of the French population. Since the attack many people subscribed to show their support, and the new issue is reportedly already sold out, but I doubt it changes the usual relation of French people with this newspaper in the long run. Strong satirical cartoons are something that is VERY French and that does not really exist in modern US or modern UK cultures in quiet the same form. From the times of Louis XVI, the strong satirical cartoon has been ingrained in French society and when I say satirical, it can be crass, disgusting, insulting, inappropriate as well as funny and thought provoking. Charlie Hebdo follows in the long tradition of magazines/newspapers such as Fluide Glacial and Hara Kiri (to name the most recent ones) as well as TV shows such as Les Guignols de L’info and others. Most of the murdered cartoonist have been famous for 40+ years and have been published in many of the leading newspapers/magazines in France. One of them, Cabu, was even part of a children’s morning show that EVERY French person my age was raised on: Recré A2! (he then drew PC cartoons for it of course). Charlie Hebdo made cartoons about EVERYONE: the president, the pope, the Front National, homosexuals, homophobes, the rich, the poor, Obama, and of course what they are mostly known for right now: the muslim faith. No one was ever spared, everyone was fair game. What is the “JeSuisCharlie” sign/hashtag? Right after the terrorist attack, #jesuischarlie (“I am Charlie”) became a trending hashtag on Twitter for people to talk about the events. A French artist name Joachim Roncin took that hashtag and made the famous black and white phrase that you have seen now everywhere. 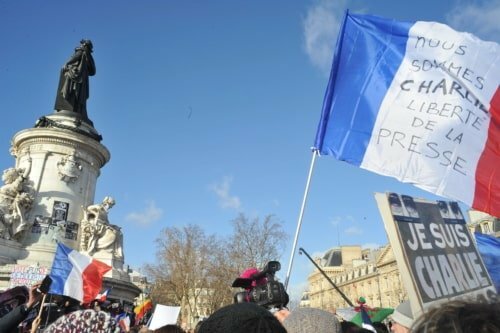 I don’t believe that most of the people that are holding up these signs and changing their FB profile, etc have ever read a whole Charlie Hebdo nor would identify nor stand by their opinions or views. JeSuisCharlie is more about saying: “I am for free press and freedom of expression” but this is obviously not as catchy. Saying JeSuisCharlie does not mean that we are OK with insulting a faith, this slogan now is beyond anything that this newspaper stands for. I'm Camille's husband. I teach advanced French conversation lessons as well as handle all the marketing, technical & design aspects of the site. I sometimes cameo on some of the French Audiobooks recordings.